An email from Amazon.com Inc. on Tuesday about non-existent baby registries had many customers scratching their heads. 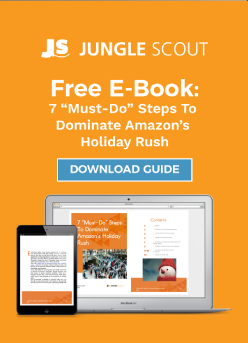 The message, sent to select Amazon customers around 3:30 p.m. Central, read, “A gift is on its way. Someone great recently purchased a gift from your baby registry! You can visit your Thank You List to easily keep track of all gifts purchased.” The emails went out to some customers who had set up a registry in the past, as well as some who had not. E-commerce sales for the 2017 holiday season are projected to grow 18%-21% compared with the 2016 holiday season, with online sales reaching $111 billion to $114 billion, according to the just-released Deloitte annual holiday forecast. Deloitte, which defines the holiday season as the three-month period of November through January, attributes this large increase to several factors, including growth in consumers’ personal income. Calling all Etsy sellers. 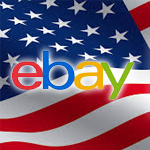 There’s plenty of chat and controversy right now about how eBay treats its sellers. Here on Tamebay, we’ve written about various problems that sellers have had of late when it comes, specifically, to the exchange of contact details between buyers and sellers via the eBay My Messages system. Facebook Inc. is making a pitch that it can help multichannel retailers drive consumers into their stores. The social network today rolled out two new ad tools to enable retailers to build Custom Audience customer segments they can use to target consumers based on their visits to a merchant’s store and what they’ve bought offline. Amazon’s vice president for global innovation policy and communications, Paul Misener, gave the keynote speech at Retail Week’s tech conference in London last week and made some fascinating remarks that hep us understand the company. It reflects Jeff Bezos’s Letter to Amazon shareholders last year where he celebrated the the importance of failure.